At the beginning of this book we discussed the challenges faced by termite control businesses in a troubled economy. Below are some suggestions for generating business when times are tough. Of course, these strategies also work well when the good times are rolling. Work hard to keep current customers. Make sure your current customers, whether termite or general pest, see a strong value in your service. Keep the frequency of customer contacts high with periodic reports, informational mailings, site visits, personal contacts, etc. Develop good relationships with successful builders. In any area, certain aggressive developers and builders will stay busy. Those are the builders to cultivate so that you keep a flow of pretreat work in the pipeline. Monitor the flow of commercial work in your area and court those builders. Develop good relationships with good real estate agents. Visit real estate offices to sell your services so that they call you for termite inspections and treatments. Sell termite inspections to home buyers whenever possible. Real estate contracts specify who orders the inspection; it is best to work for the buyer when possible. 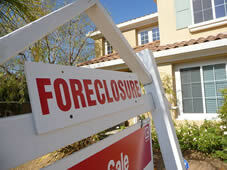 People who are able to buy homes in a bad economy tend to be in better economic circumstances than most and more inclined to protect their assets. 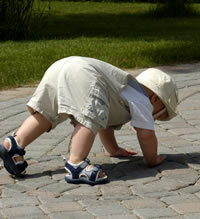 Sell them on the angle that you are working for them to protect those assets, and have no conflicts or hidden agendas. Avoid competing on price if you can. There will always be companies willing to cut corners to make a sale and you won’t be able to compete with them on price unless you are willing to cut corners, too. While it feels counter-intuitive, it is generally not good business practice to compete on price when the economy is tough. Sell quality. Examples: (1) Instead of a $35 inspection, charge significantly more, say $150 or so, and spend more time doing the inspection, perhaps 1.5 to 2 hours. Then provide the client with a professional folder with a detailed report, photos to document conducive conditions, damage, and even trouble-free areas, and make recommendations for corrections, repairs, and even for actions needed for general pests. (2) Sell distinctive, quality termite treatment (combining liquid treatment with monitoring, or selling “green” termite control) that you can sell to those customers more motivated by quality or philosophy than price. Aggressively sell the need to protect the customer’s investment through professional inspection and the renewal of termite warranties. Maintain the current customer base by packaging various services together. Provide complete, professional, and useful termite reinspection and monitoring reports. Regularly remind your customer base about the value of your services through mailing and other communications. Send periodic educational newsletters and mailings such as warnings on conducive conditions, pest of the month, and mulch management. Adjust your charges for renewals to accurately reflect type and cost of initial treatment, degree of risk, type of warranties (retreat versus repair), and limits of liability. Keep costs low. Review your operations and eliminate waste and unnecessary expenses. Provide add-on services. Generate additional income by providing additional services related to termite control such as damage repair services (for more, see Ancillary Services and Businesses in previous chapter). Use combination approaches in order to retain a customer over the long-term. 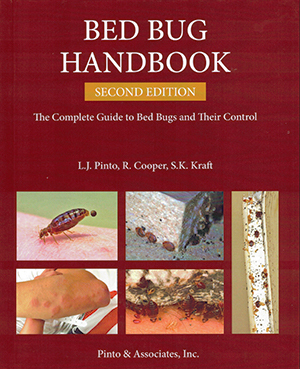 Examples include combining termite spot treatment (liquids, injection, etc.) with a termite monitoring program or providing termite monitoring in a package with general pest control. Adapt to the market. Track construction activity and follow the trends; for example, if commercial real estate remains strong in your area, put your emphasis on this market. Also track government funding in surrounding areas to get a jump on new projects. Go “green.” Market and offer green termite services that will appeal to the millions who make many buying decisions based on their environmental concerns (see “Going Green” in Termite Control in previous chapter). 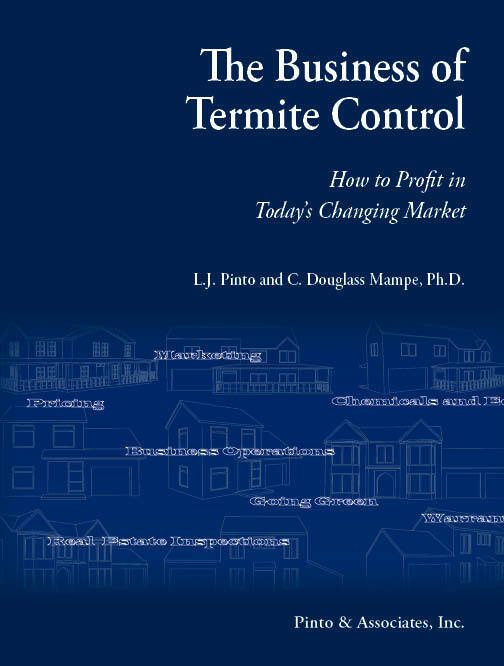 This article was excerpted from the new The Business of Termite Control: How to Profit in Today's Changing Market. Click on the link for more information.